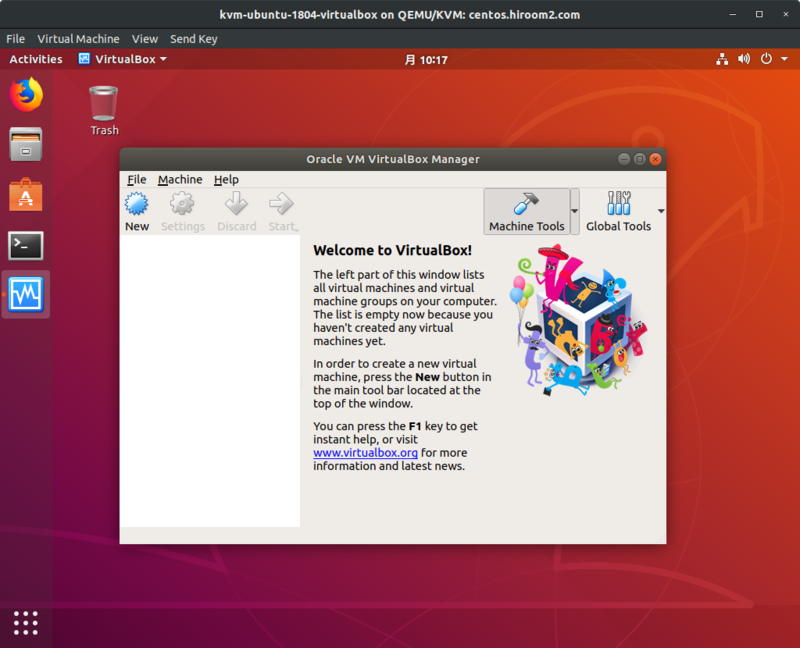 This article will describe installing VirtualBox. Install virtualbox package. virtualbox-ext-pack needs license agreement. 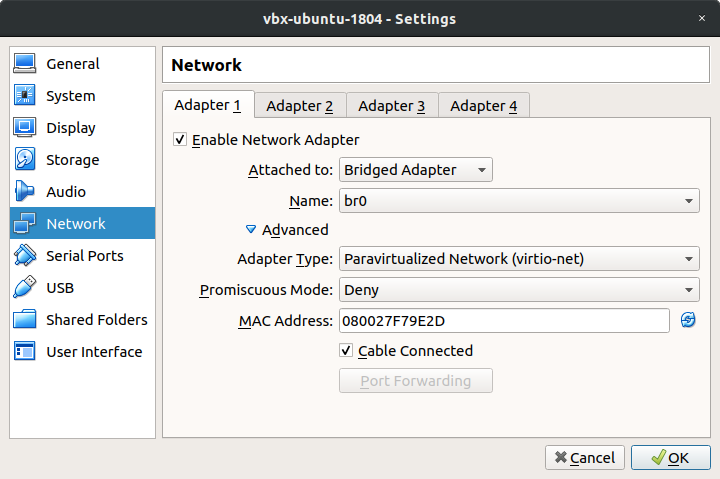 While libvirt+KVM needs bridge interface, VirtualBox allows physical ethernet device or bridge interface. For example, eth0 is ethernet device and br0 is bridge interface which is bridged to eth0. libvirt+KVM needs br0, and VirtualBox allows both eth0 and br0. But you need to set "Adapter Type" to "Paravirtualized Network (virtio-net)" which is paravirt driver. If you does not use it, local network machines cannot access to virtual machine (Connection is established but stalled immediately). VBoxManage can be used via CUI. It is easy to be scripted. Get MAC address of virtual machine. Start virtual machine. –type headless option can start virtual machine without displaying console window. Shutdown virtual machine with ACPI (Some OS needs ACPI settings for shutdown).